Sleep is incredibly important to me. My children sleeping all through the night is also incredibly important to me. 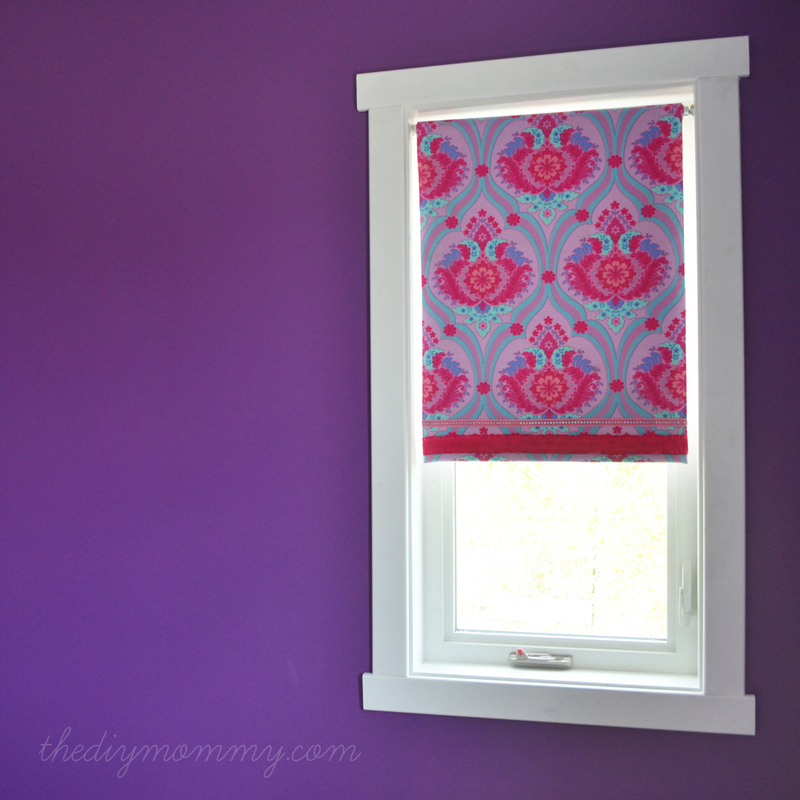 This is why I immediately started working on blackout blinds for my girls’ bedrooms in Our DIY House after our window casing was installed (did you see my DIY craftsman trim?). 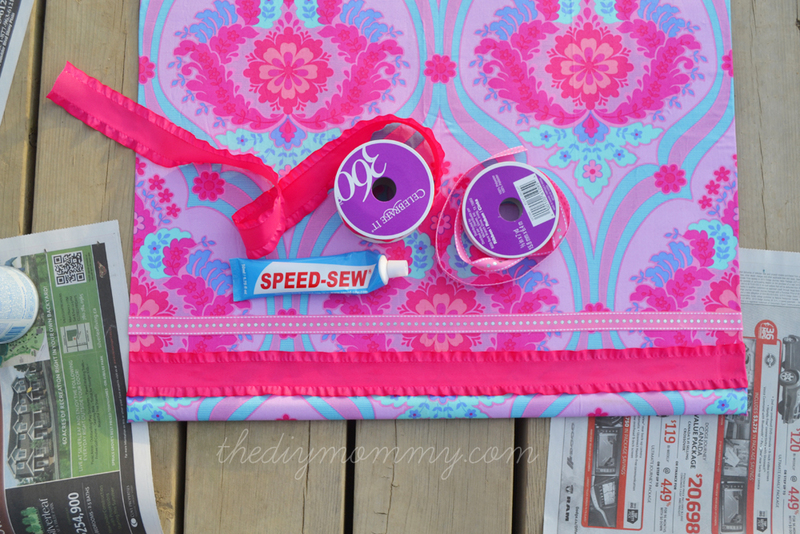 I also wanted a no-sew solution – I didn’t want needle holes poking through the vinyl on the blinds. 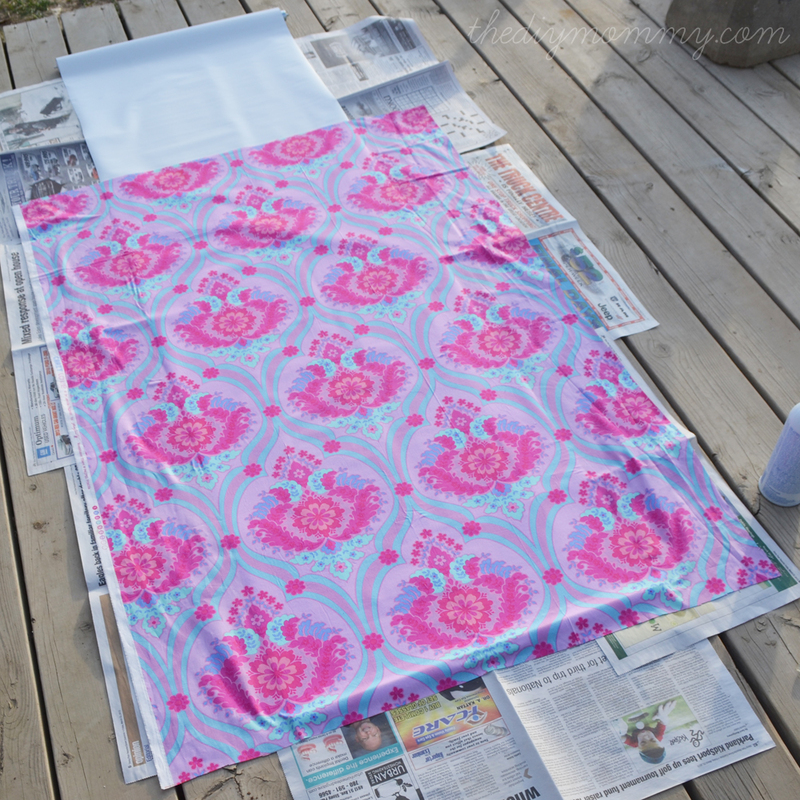 I was skeptical about using spray adhesive to adhere fabric to roller shades. Would the shades still roll? Would the fabric lay flat? I’m happy to say that the answers to both of these questions are a resounding “yes!” and I also have a happy little girl that thinks her window shades are “the beautifulest”. 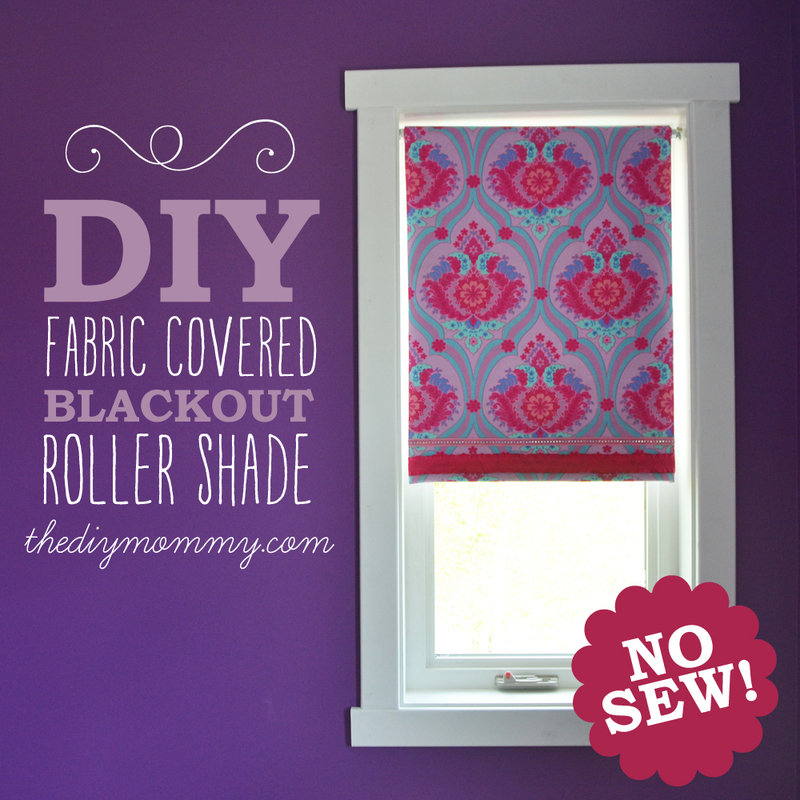 Buy blackout roller blinds from a home improvement store that you can cut to fit your windows. Measure the inside (or the outside, if you’re mounting them on the outside of your casings) of your windows and cut the blinds to fit. I used fabric scissors on the vinyl (you should just be able to glide them along) and a Japanese saw to cut the thick cardboard tube (it’s that cute little handheld saw in the photo). 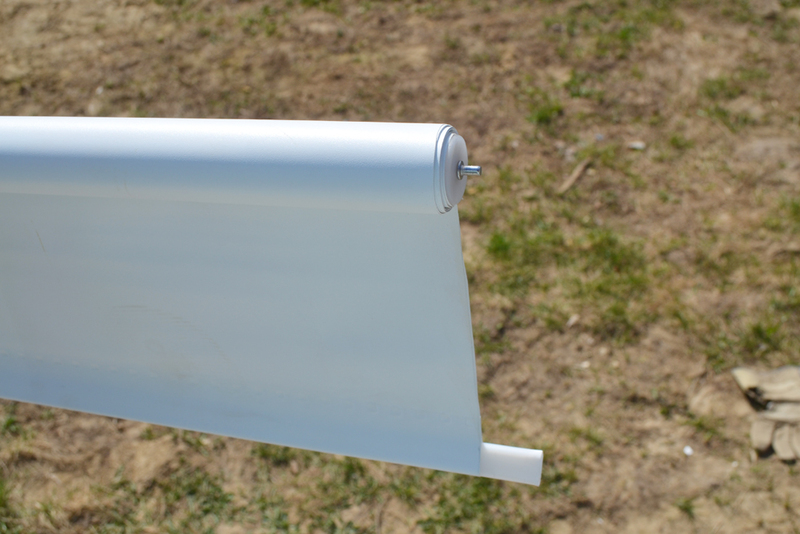 There’s a little plastic cap that you’ll have to pop off the cut end of your roller shade and then pop back on the new end. I used my scissors to pry it of and banged it on the deck to fit it back on. You’ll want to test your adhesive first. 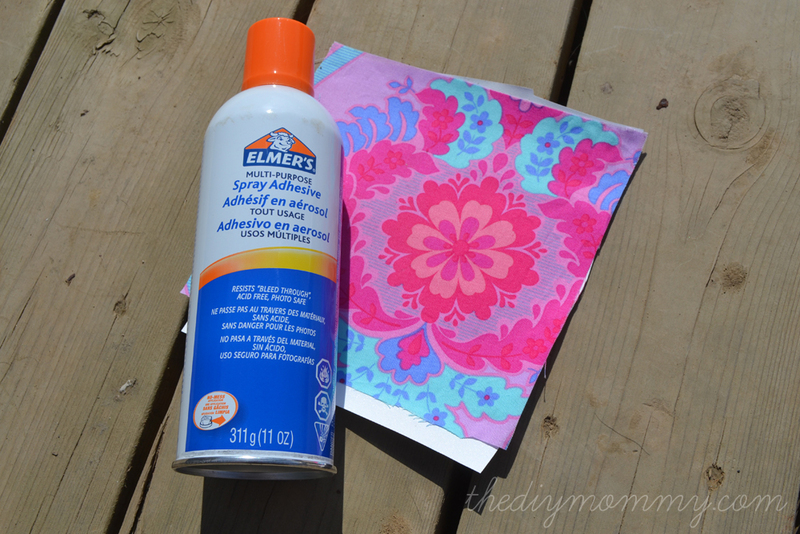 I used Elmer’s Multie Purpose Spray Adhesive. 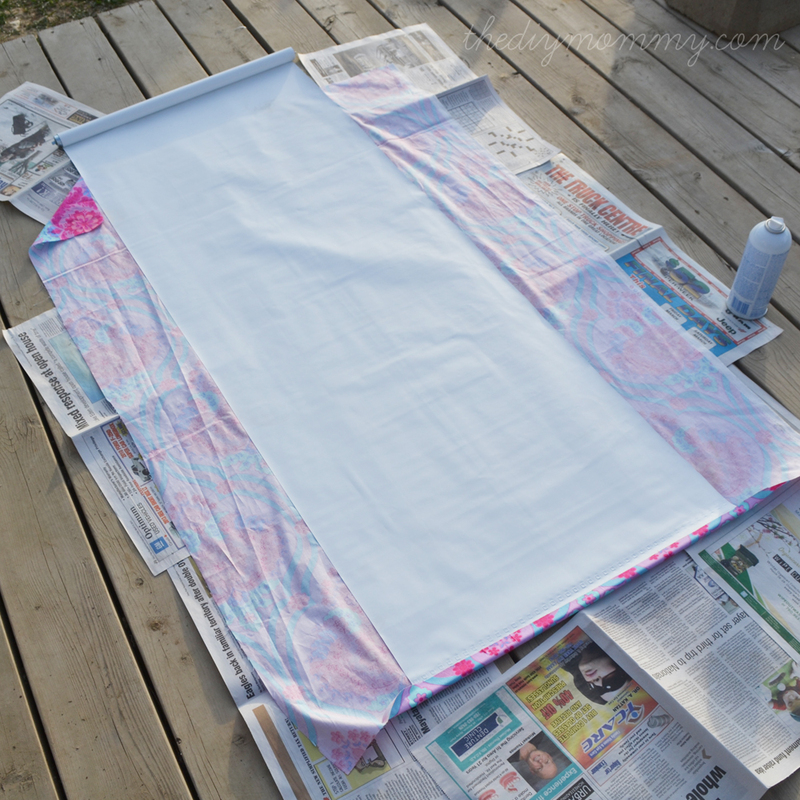 Using an extra piece of vinyl, spray it according to the glue’s directions and apply a scrap piece of fabric. Let it dry and ensure it bonds nicely. My combination of adhesive, blind and quilter’s cotton worked well! I used just enough fabric to reach from the top of my window to the bottom with a few inches to spare. In my opinion, there’s no need to cover the entire roll of vinyl. Plus, it makes the shade heavier. 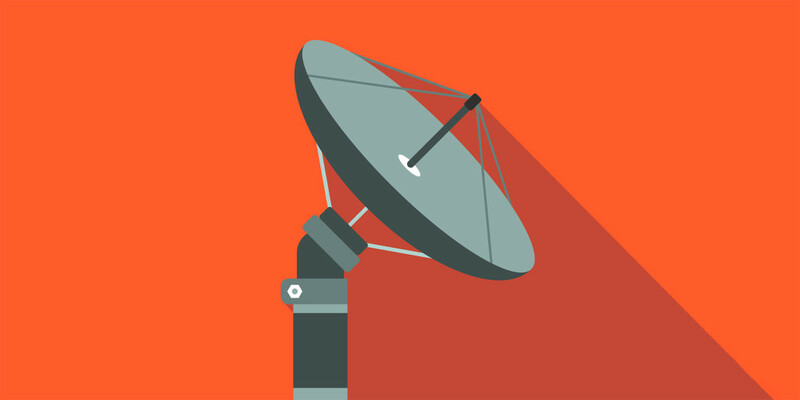 Unroll the vinyl shade. Lay your fabric over the vinyl shade, making sure that it’s centered if it has a pattern to it (mine did) and that it’s hanging over the bottom of the shade about 1″. Lift up the bottom 6″ of the fabric, spray the blind beneath well, and then smooth that bit of fabric over the glue with your hands (I tried a ruler at first to smooth the fabric, but doing it by hand seemed to work much better). 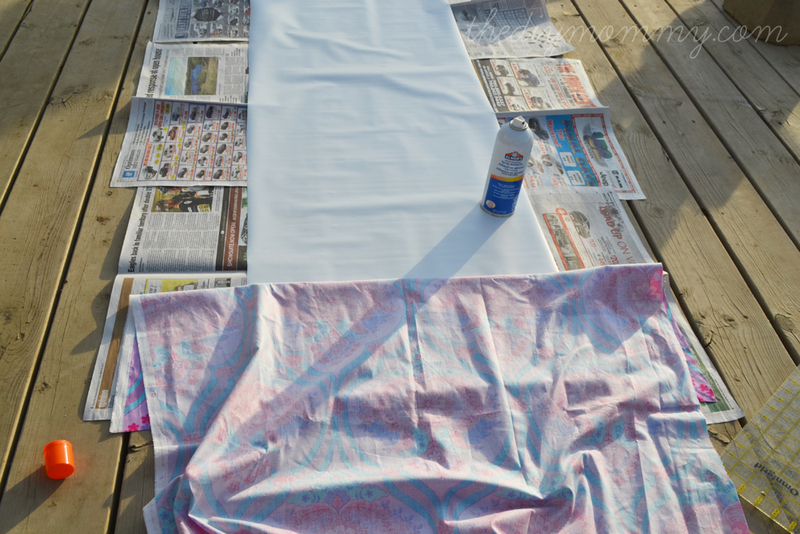 Now, flip down the top portion of fabric and spray the next 6″ of the blind and smooth the fabric over it. Repeat until you’ve adhered the full length of fabric to the blind. 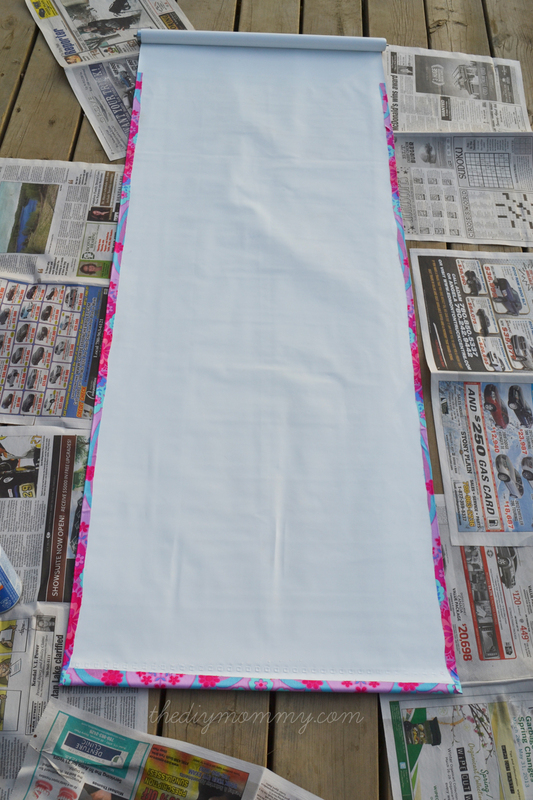 Once the glue has dried, flip the blind over and spray the bottom piece of fabric and turn it over the bottom edge of the blind. Press it down to adhere it. 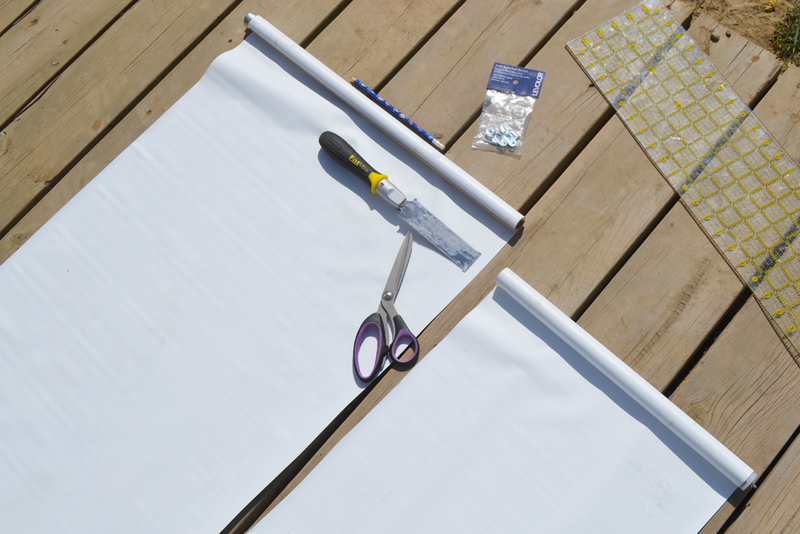 Trim both sides of fabric so that they reach about 1″ beyond the blind’s width. Spray glue on these pieces and turn them around the blind and press them down. Do about 6″ at a time (I found it best to work quickly with this glue). 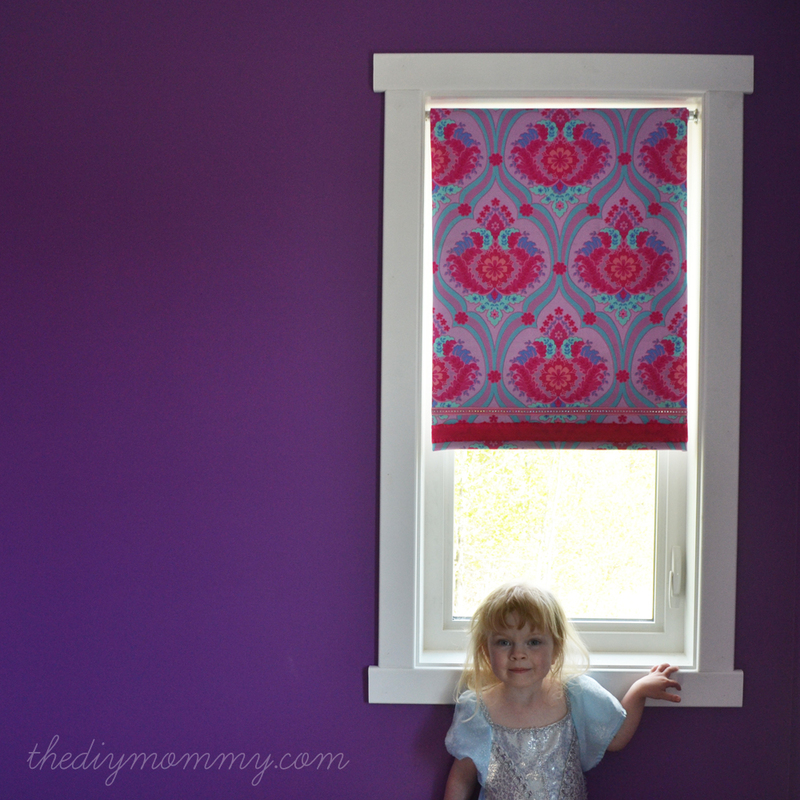 If you want, you can decorate the bottom of the blind with ribbon, lace or trim. Little C picked out these sparkly, ruffly ribbons and I glued them on with fabric glue to the bottom of her blinds. Ta-da! 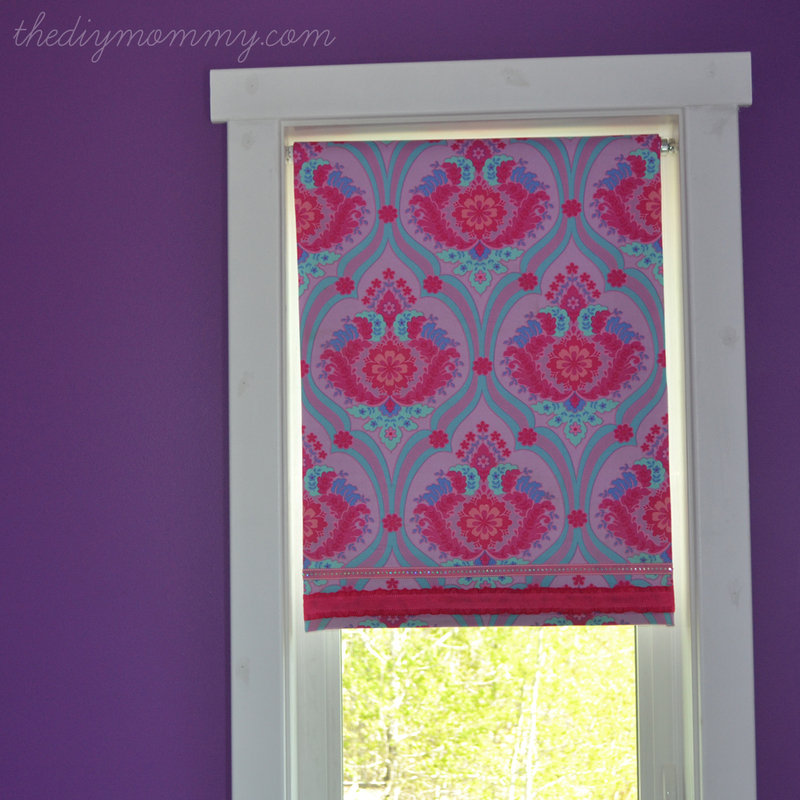 It’s a custom roller shade covered in pretty fabric that’s still functional and practical. I mounted these with sticky tack at fist to ensure they rolled up and down, and my goal this week is to mount them with real screws inside the windows. 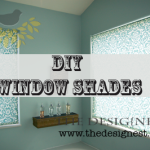 * * * I love these little DIY fabric covered shades! They’d make a great home decor project for any DIYer. Think of how cute they’d look covered in a damask fabric for a kitchen window or a pastel chevron fabric for a baby’s nursery! his post is part of my “Our DIY House” series where I’ll share with you my most exciting DIY ever – building a country house from the foundation up with my talented hubby! We’re crazy, we’re creative, we’re on a limited budget and we’re planning on having it finished in the Spring of 2013.